The National Bank of Serbia (NBS) is the central bank of the country. Founded in 1884, the NBS aims to achieve and maintain price stability, and formulates and implements monetary policies. It also manages foreign exchange services and supervises financial institutions and banks in Serbia. Thirty (30) banks in Serbia were operating as of September 2017, comprising six state-owned and three privately-owned banks, and 21 banks under foreign ownership. Banks in Serbia are well-capitalized, both in terms of the structure of regulatory capital and prescribed capital. For anyone considering a banking career in Serbia, this list of banks in Serbia is a helpful guide on where to start. 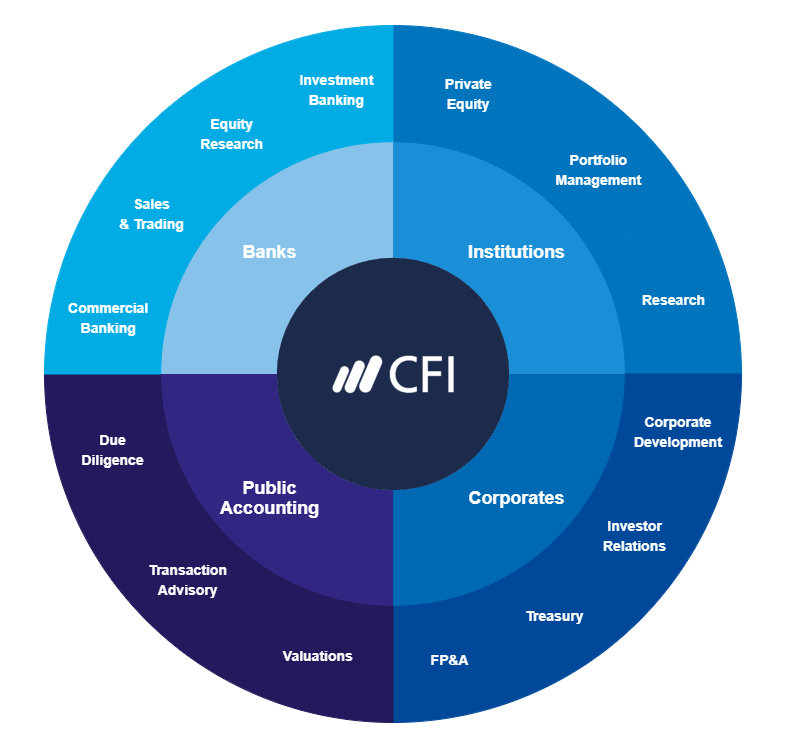 To learn more, see our list of financial institutionsCompaniesLists of the main players in corporate finance. We've got lists of the most important financial services companies, banks, institutions, accounting firms, and corporations in the industry. Browse these guides to prepare for a career in financial services and start networking today to accelerate your career. Founded in 1991, Banca Intesa is one of Serbia’s first private banks. It also leads banks in Serbia in terms of total assets, total deposits, total placements, and total revenues and capital. In 2005, the bank became part of the international group, Intesa Sanpaolo. Headquartered in Belgrade, it currently employs 2,900 individuals and has 158 branches across the country. Established in 1970, Komercijalna Banka serves individual customers, SMEs, and businesses, offering a wide range of financial products and services. It became a joint-stock company in 1992. Based in Belgrade, the bank employs 3,106 individuals and operates a network of 220 branches, 13 branch offices and 11 business centers in Serbia, Montenegro, and Bosnia and Herzegovina. UniCredit Banka Serbia operates as a wholly owned subsidiary of Italian banking group UniCredit. It is one of the banks in Serbia that offers a comprehensive range of financial products and services, serving clients from small start-up ventures to the biggest global corporations. Founded in 1990 as Societe Generale Yugoslav Bank, Societe Generale Banka Serbia offers a wide range of banking products and services to individuals, financial institutions, SMEs, and companies. The bank is a fully owned subsidiary of France-based Societe Generale. Headquartered in Belgrade, it operates 96 branches across Serbia. Established in 2001, Raiffeisen Banka provides banking services to major customer segments, including retail and corporate clients. The bank operates as a subsidiary of Austria-based Raiffeisen Bank. Headquartered in Zagreb, it currently employs 1,477 staff and oversees 87 business outlets. AIK Banka was founded in 1976 as an internal bank of Agro-Industrial Enterprise. It obtained its universal banking license in 1993, allowing it to offer banking products and services, with a focus on agriculture and retail clients, as well as on SMEs. As of 2015, the bank managed 35 branches and one bank counter. Eurobank entered the Serbian banking sector in 2003, providing a comprehensive range of standard banking services, along with some of the most innovative financial products and services offered by banks in Serbia. The bank serves more than 500,000 account holders, comprising private individuals and companies. Based in Belgrade, it presently employs 1,467 individuals and operates a network of 80 retail branches and five business centers throughout Serbia. Erste Bank Serbia was founded in 1864 as Novosadska Stedionica, making it the oldest of the banks in Serbia. The bank is now a member of the Erste Group Bank, one of Central and Eastern Europe’s leading financial service providers. It currently manages 75 branches and three corporate centers for SMEs customers. Established in 1921, Banka Postanska Stedionica offers retail banking services to individuals and SMEs through a network of Serbian postal offices. The Government of Serbia owns a majority shareholding in the bank. Based in Belgrade, the bank operates a network of nine branches, eight independent counters, and 119 offices throughout the country. Vojvodanska Banka offers individual, corporate, and investment banking services to retail customers, SMEs, and companies. In 2017, the bank became a member of Hungary-based OTP Bank Group. Headquartered in Novi Sad, it oversees 23 branches and 172 offices across Serbia.